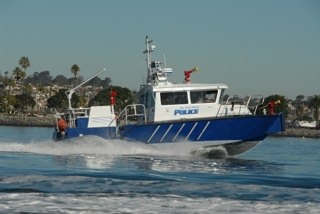 San Diego Harbor Police have five MetalCraft Marine FireStorm 36 fire and rescue vessels, some of which can be seen in action here. A yacht is destroyed after bursting into flames Monday afternoon on Harbor Island. It is expected to be towed to South Bay Marine Group on Monday night. Fire engulfed the Sea Siesta, a 57-foot Chris Craft Constellation that was docked alongside other boats at the Sunroad Resort Marina. 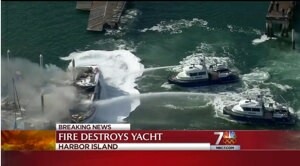 Two San Diego Harbor Police boats used water cannons and foam to extinguish the fire around 12:30 p.m. Monday. North Charleston's MetalCraft Marine Firestorm 32 responds to fire in Georgetown County. Georgetown is a 1hr 45 minute boat ride from North Charleston. They were called-in for mutual aid. The boat ran up, and pumped water for 3 hours straight - no issues. ST. LOUIS (KMOX) - There?s a new riverboat headed down the Mississippi toward St. Louis, and this one will carry the name of Cardinals baseball legend Stan Musial. 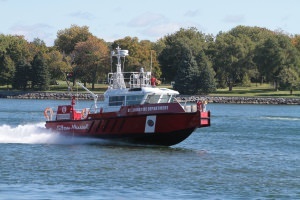 It's a 44-foot fireboat commissioned by the St. Louis Fire Department and is capable of speeds up to 38 knots. It can pump up to 7,000 gallons of water or fire-suppressing foam per minute and can fight fires even while it?s moving. 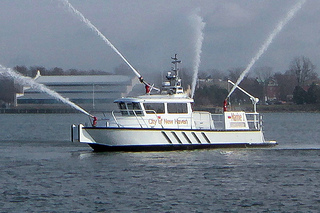 The new Fireboat Number Six, aka ?The Stan Musial?, was built by MetalCraft Marine. The company has shipyards in Clayton, New York and Kingston, Ontario. 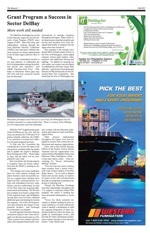 Wilmington Delaware's new FireStorm 70 Fire and Rescue Boat is featured in an interesting article in the Fall 2013 Edition of The Beacon . The article is about the effectiveness, and the foreseeable future, of port security federal funding programs. Check out some of these amazing photos from a joint training exercise involving Wilmington Delaware's new FireStorm 70 Fire and Rescue boat and a bunch of helicopters. 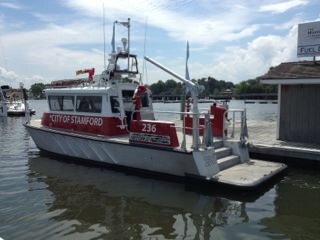 On behalf of MetalCraft Marine we would like to congratulate Stamford Fire Department on the delivery of their new FireStorm 32 high speed fireboat. On behalf of MetalCraft Marine we would like to congratulate PanOcean Oil, Nigeria on the delivery of their new Patrol boat! Check out our latest video, our new Sentry 44 Patrol Boat , on YouTube. 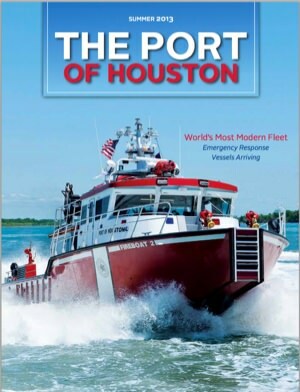 MetalCraft Marine's FireStorm 70 is mentioned in a very complimentary article in Port of Houston magazine. 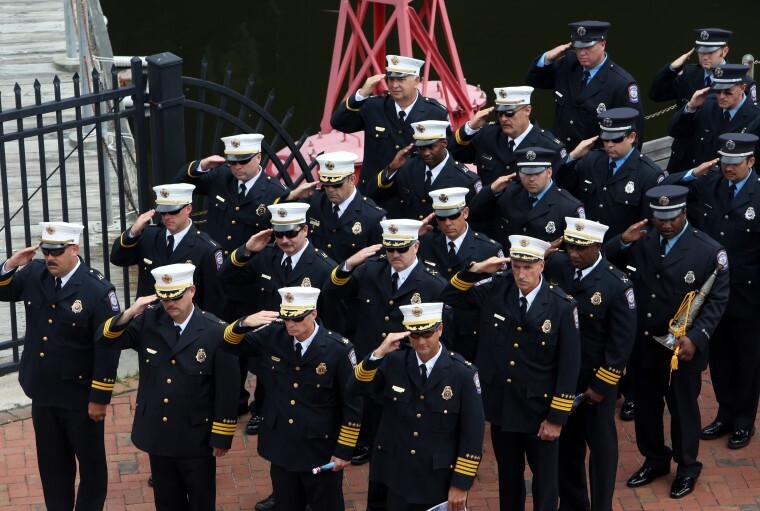 "As the nation's busiest port in terms of foreign tonnage and home to one of the world's largest petrochemical complexes, our firefighting team is second to none in protecting this national asset and the many who work here," said Port Authority Executive Director Len Waterworth. "These new vessels will strengthen these firefighters' ability to save lives and property along the 25-mile long Port of Houston." The U.S. and Honduran coast guards helped look for the boat carrying Canadian Tasha Brown. 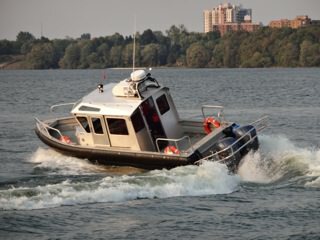 Read the story at CBC News that features a photo of a MetalCraft Marine Long Range Interceptor Patrol Boat. 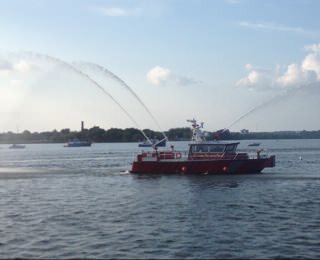 The Thomas Kevill is Norfolk VA's newest fireboat. The MetalCraft Marine FireStorm 32 was commissioned in an impressive ceremony on Friday, June 21st. Here's the story along with some great photos from hamptonroads.com. 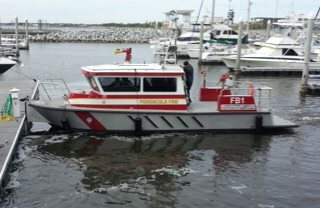 The newly acquired Pensacola Fire Boat was put to good use Wednesday when Pensacola Fire Department crews and Pensacola police pulled a man from the water on the west side of Palafox Pier. Authorities responded to the downtown Pensacola marina after a man jumped over a guardrail into the water at about 7:07 p.m., according to a news release from Pensacola Fire Marshal David Allen. The man was unable to swim. 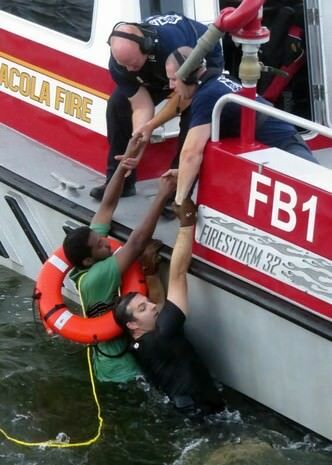 Pensacola police threw the man a line to hold on to and an officer jumped into the water to help the man until Fire Boat One arrived. Fire crews then pulled the man from the water with the officer?s help. This past Wednesday morning the first of three FireStorm 70 fireboats for the Port of Houston Authority began its 12 day journey to home port. Please see this formal press release provided by the Port of Houston Authority. Here's the delivery schedule. Interesting trip. Update: Here's a Workboat Magazine Interview with some of the members of the delivery crew. 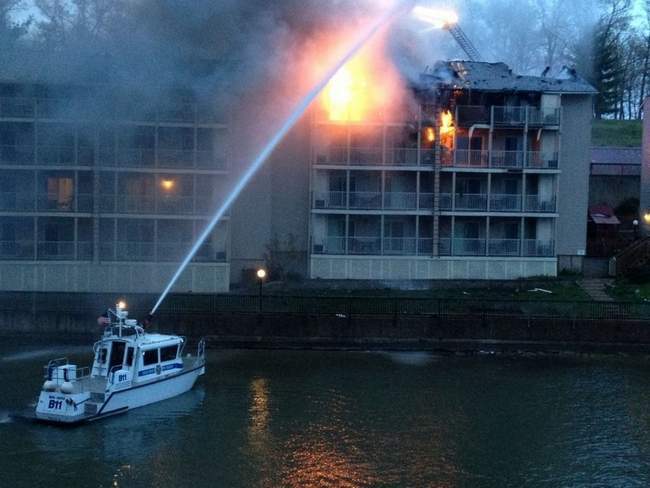 Osage Beach Fire Department personnel and firemen from other lake-area district, battled a fire Saturday evening that damaged much of one building at Lakewood Resort near the Grand Glaize Bridge. 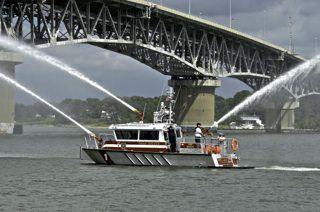 The photo clearly deomonstrates how a fireboat is vital. Shown is the The FireStorm 30 we built for Osage Beach Fire Protection District, MO. 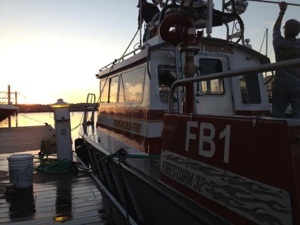 We have lots of news from Pensacola and their proud new FireStorm 32 fireboat. The City of Pesacola's press release. A news story , slideshow and Video from pnj.com. 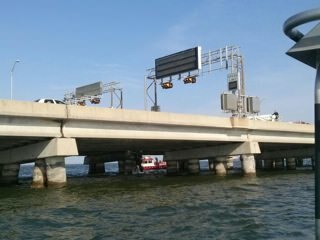 Check out this news story from Newport News VA about a truck that crashed precariously over the edge of the 4-lane, 4.6 mile-long Monitor-Merrimac Memorial Bridge-Tunnel . Newport News' BMCM Carl M. Brashear, a MetalCraft Marine FireStorm 30, attended at the scene. More from ABC News 13 . "This incident highlights the excellent and immediate response by multiple agencies," said Capt. John Little, the commander of Sector Hampton Roads. "It is the result of partnerships and joint training conducted within the Hampton Roads emergency response community." The San Diego Harbor Police Department has a distinction that most law enforcement agencies don't have: marine firefighters. All of their officers are cross-trained to meet firefighter standards and assist with rescue incidents. Here's a good article from firehouse.com about the San Diego Harbor Police Department (HPD) and their fleet of five MetalCraft Marine FireStorm 36 Emergency Response Vessels. The department?s fleet includes five MetalCraft Marine FireStorm 36 Emergency Response Vessels. Each of these vessels contains a Darley fire pump, or pumps depending on the configuration, which supplies two monitors. One is a roof-mounted, 2,000 gpm remote control unit; two discharges and a five-inch Storz connection for supplying land-based units. They also have a built-in foam distribution system. EMS care can be provided on the large open deck space or inside one of the heated interior berths of the vessel. Here's news of another MetalCraft Marine delivery. Pensacola, Florida's new FireStorm 32. Pnj.com has this story and video about the vessel's arrival at Bahia Mar Marina in Pensacola. 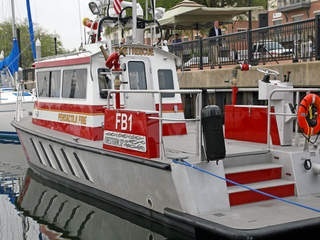 The 32-foot fire boat will be used as needed within the Pensacola area, according to the Fire Marshal. The Fire Marshal said the fire department will continue to work closely with the U.S. Coast Guard and Florida Fish and Wildlife to enhance the level of safety on and near the water. Here's a slide gallery of the boat being prepared for launch. The $612,000 boat can spray 2,000 gallons of water per minute and can drive 45 miles per hour in two feet of water. ABC News Channel 6 reports on Camden NJ's FireStorm 50 responding to a fire at the base of Tacony-Palmyra Bridge. Turns out it was an electrical problem with a channel light attached to the bridge. Check out this report From Ponce de Leon Inlet, Florida. It's a rescue involving one of the new MetalCraft Marine Long Range Interceptor 35 vessels while it was out on sea-trials. 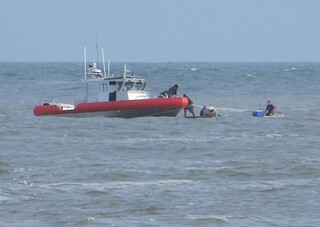 Rescuers pull up to three men whose boat flipped in the middle of Ponce de Leon Inlet on Sunday. 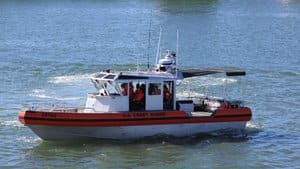 Published: Monday, January 21, 2013 at 1:30 p.m.
Three men escaped injury when their boat capsized in heavy seas at the mouth of Ponce de Leon Inlet, a U.S. Coast Guard spokeswoman said. "About 3:30 p.m. (Sunday) a 10-foot-long boat with three persons aboard capsized," Petty Officer Jessica Potter said Monday morning. "The boat was too small for sea and wind conditions." She said a Good Samaritan spotted the overturned boat and plucked its unidentified occupants out of the water before a crew from U.S. Coast Guard Station Ponce de Leon Inlet arrived on scene. Port Orange real estate agent Phil Hanner said he was walking with his daughter along the North Jetty of the inlet when he saw what looked like men standing upon the water. "They were waving their arms trying to get someone's attention," Hanner said. "It was super rough out there." A stand-up paddleboarder went to the men's aid, he said. Hanner said a crew from Towboat US hooked a line to the capsized craft and towed it to shore. Neither Potter nor Hanner could say whether the boat's occupants were wearing lifejackets at the time of the mishap. Charleston Fire Department officials say they got a 911 call near South Battery and Limehouse streets about a male and female yelling for help from the harbor. Responders could not see the victims because of the dense fog, but made contact with them over a PA system. 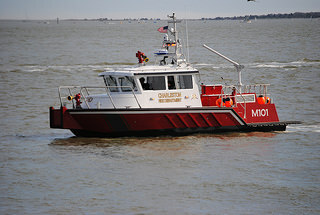 Responders aboard the new Charleston Fire boat rescued the 22 and 23-year-olds who were on top of a small overturned boat. Charleston Fire, Charleston Police, Saint John's Fire, the US Coast Guard, Charleston County EMS, and Charleston County Rescue helped in the rescue. The CFD boat used in the rescue was acquired by the department in late November 2012.